There is a magical infinity, a continuous loop of compatibilities, between the icon wines of Tuscany and the 2015 vintage. The stunning 2015 Solaia is solid evidence of this perfect alignment. This was a warm vintage that shows less favorably in my opinion in different parts of Italy and with other grapes that render their most elegant performances in the cooler vintages. I would put pure expressions of Nebbiolo and Sangiovese in this category. However, Tuscany and many of her great blended reds (made partially or fully with international grapes) operate according to a different logic. To me, their maximum expression comes when you can taste that Tuscan sunshine beaming from within. Its rays are brilliant and warm. They shine across the senses with opulence and intensity. 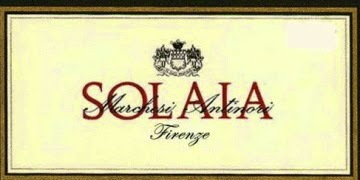 The very name Solaia evokes the concept of sunshine and this unique Tuscan wine archetype I am referring to. With the 2015 vintage, Solaia is liquid sunshine not just in name but also in fact. The bouquet is immediately soft and sensual with dark fruit, spice and sweet tobacco. The mouthfeel shows intensity and power, but you don't get any heavy residue from the dry extract (measured at 33 grams per liter). Indeed, the wine feels glossy, tonic and fresh. It is composed of mostly Cabernet Sauvignon with Sangiovese and a tiny part Cabernet Franc. There is a bit of crunch or snap that comes thanks to the more acidity-prone Sangiovese grape (the wine measures 3.5 in pH). Finally, the tannins are beautifully sweet and ripe. This wine is meticulously executed, and the 2015 vintage lives up to an ideal of what we imagine Solaia to be. It will be released about a week after this review is published. Some 80,000 bottles were produced.